Welcome to July, a month where yellow is the predominant colour. 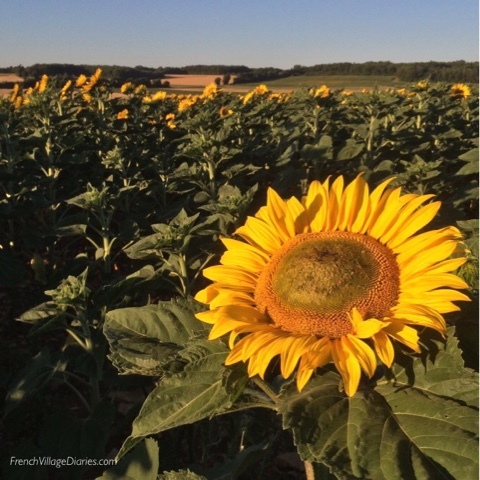 The sunflower fields are just starting to burst into a vibrant, sunny yellow. 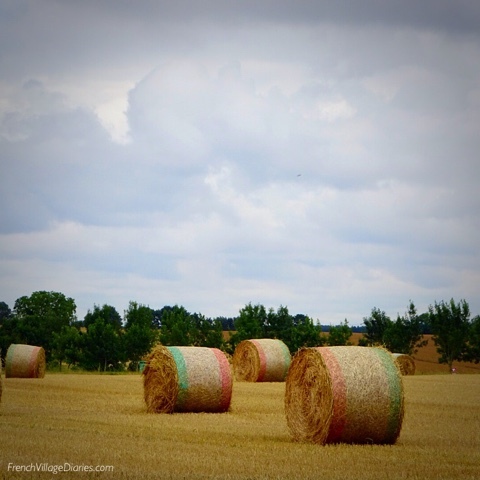 The wheat fields have turned a golden yellow. The garden is alive with yellow. 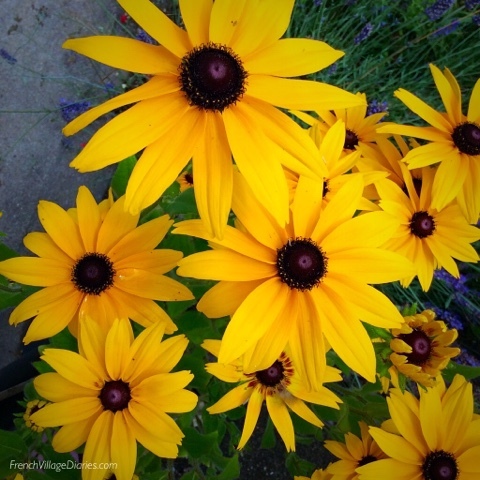 From the zingy, bold rudbeckias brightening up the terrace. 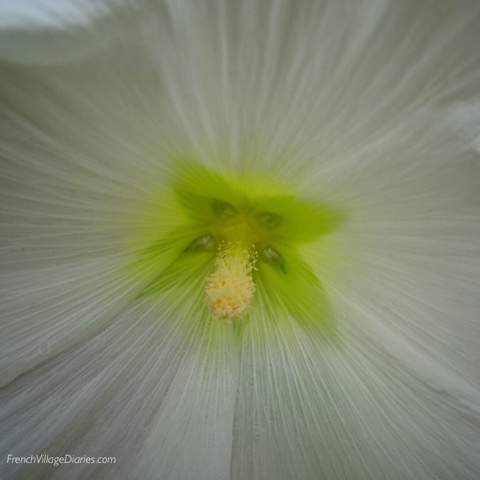 To the more delicate hint of yellow found in the middle of the white hollyhocks. 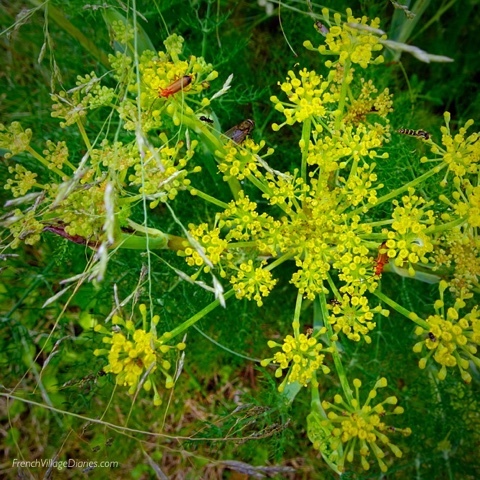 The frothy yellow of the fennel is just coming into flower, but is already alive with insects. 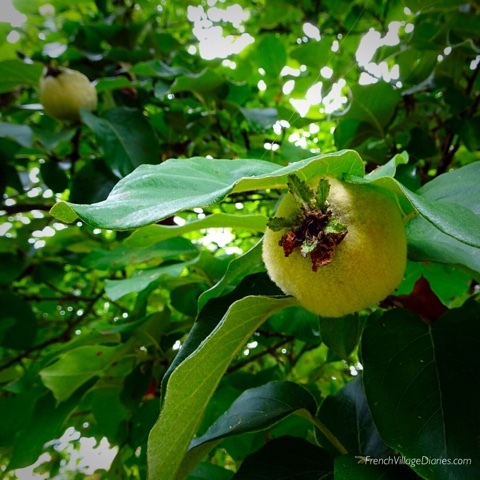 The orchard is showing it’s yellow too, with the furry baby quince fruits. However it’s the potager where yellow is dominating. 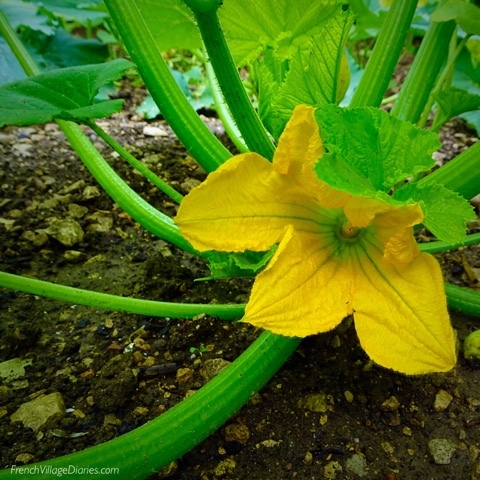 The courgette flowers are big, bold and yellow. 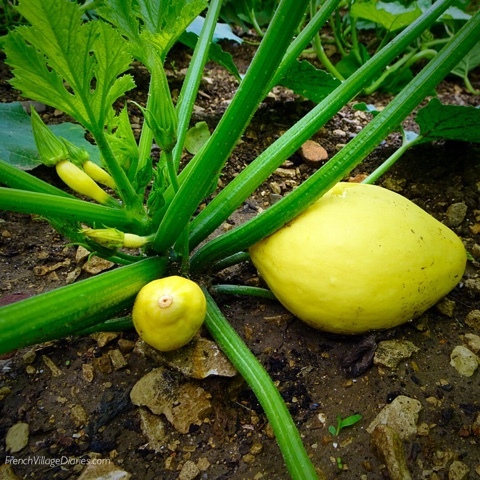 Giving way to yellow fruits of winter squash, growing bigger by the day. 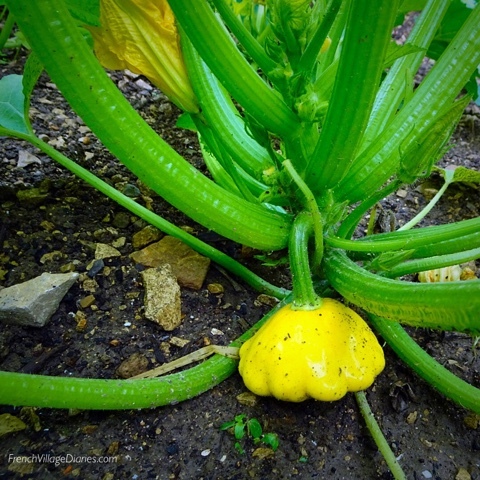 Not forgetting the dainty fluted summer patisson squash, the first of which I picked for dinner last night. It’s not just our veggies that are yellow at this time of year. 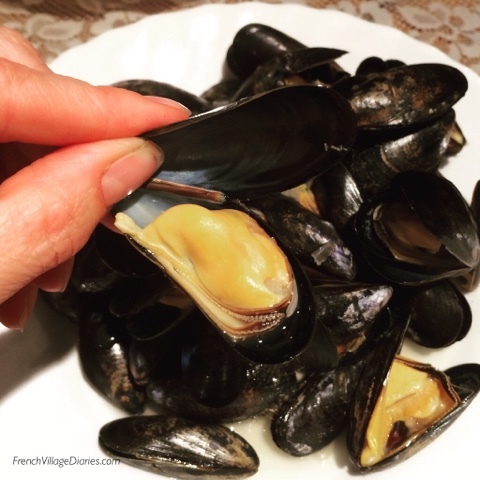 It’s moules (mussels) season and these tasty molluscs are our weekly treat, delivered direct to our village market from the Atlantic coast every Thursday. 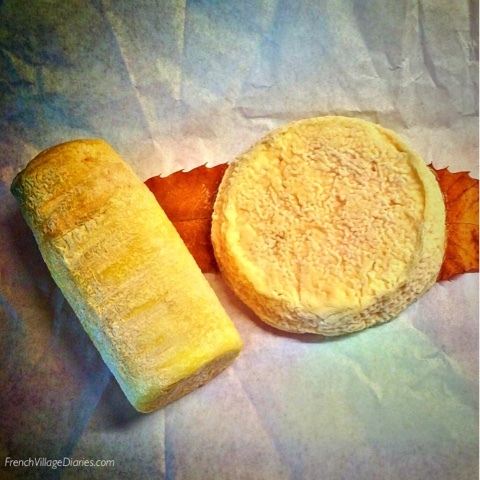 The organic goat farm in the village has a delicious selection of delicate yellow cheese. Added to salads or grated on pizza, their flavour is fantastic. 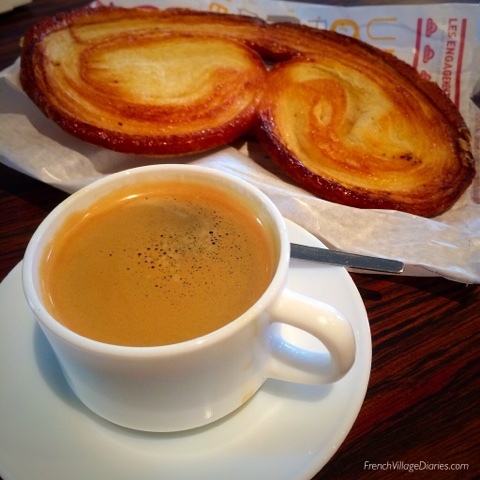 My naughty treat is (half) a palmier and a coffee at the local bar. The golden coloured, crisp, sweet patisserie is the perfect accompaniment to a strong black espresso coffee. 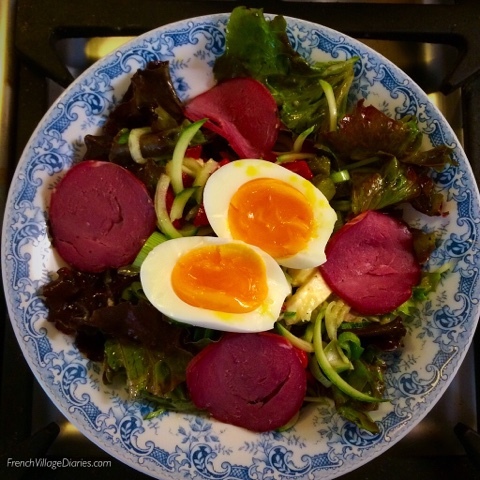 Even our salad lunches have a bold hint of yellow when topped with a hard-boiled egg, fresh from our free-range happy hens. 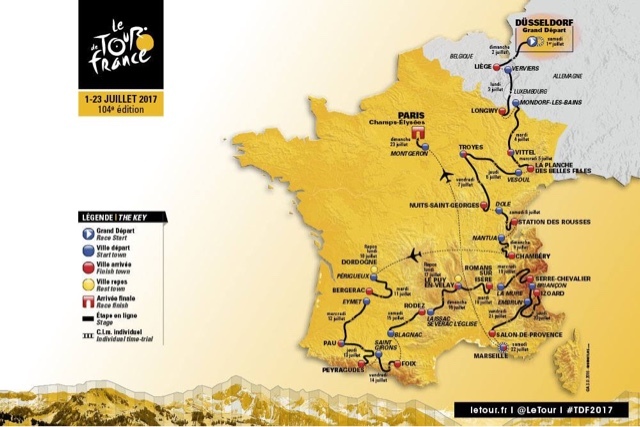 But the most exciting yellow of July is the Tour de France yellow. 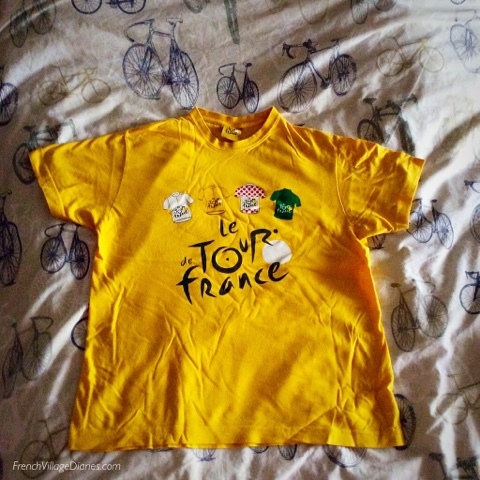 My favourite yellow t-shirt has been dug out of the drawers once more and I’m looking forward to virtually following the riders as they zig zag their way across France for the next three weeks. 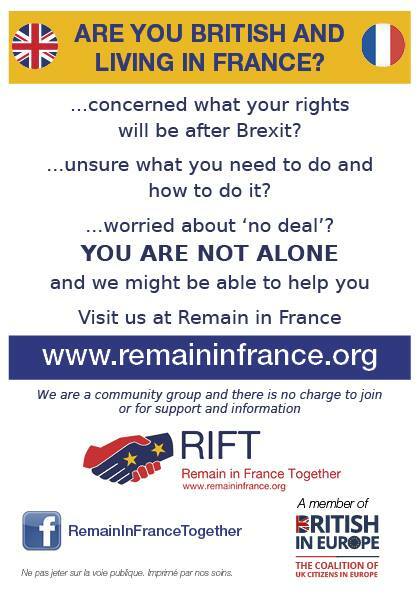 We have been lucky to see the Tour live in Tours 2013, London 2014 and Paris 2015, but I’m not sure we will make it to a live stage this year. 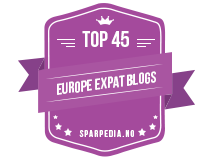 If you are new to The Tour,here is a link to my simple guide which might help your enjoyment of a beautiful sport.